This is NOT a sponsored post - There is a Zinus Coupon Code on this page. Buying a new mattress is such a personal/completely annoying experience! 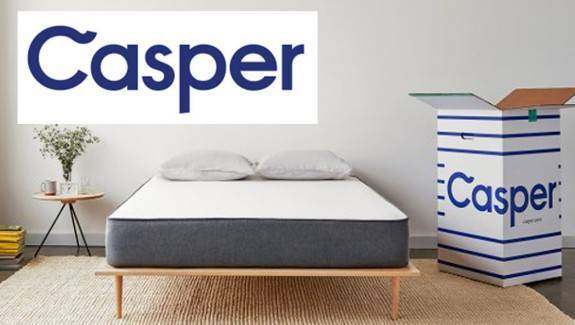 In the last few weeks I've done a LOT of online research into buying a new mattress for my son. This is my experience. My kiddo (19 year old boy) needs a bed (mattress/box spring/bed frame) . He's hot ALL THE TIME! (Like shorts in the dead of winter hot). We wanted a full size bed that felt soft and was not hot. Memory Form is known for being hot so I decided to look for a "cooling" mattress or an inner spring mattress. 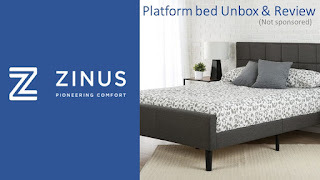 On the recommendation of a friend we bought a Zinus Mattress. The kiddo LOVES it! 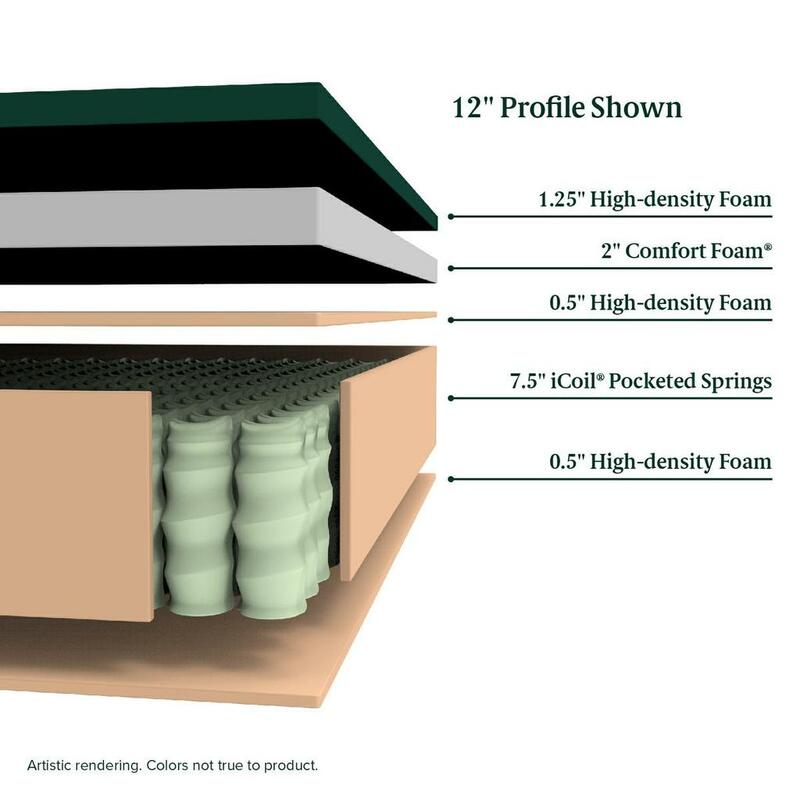 We got a Full size Cooling Euro Top Pocketed iCoil® Spring Mattress. 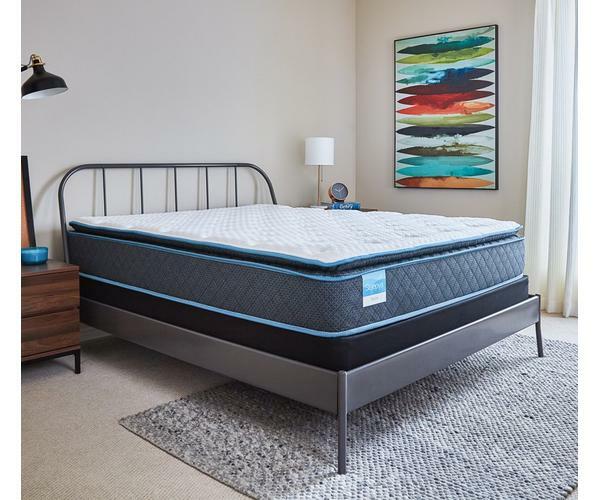 I liked this choice because it has the durability of an innerspring mattress, the softness of memory foam and a pillow top, PLUS, it was the best price of anything else we saw. My friend had a $2000 mattress. She likes this one better! Our first stop was a local mattress store Mattress Firm. This store offered a nice selection and a WIDE variety of options. Pros: You get to lay on the product and try it out. 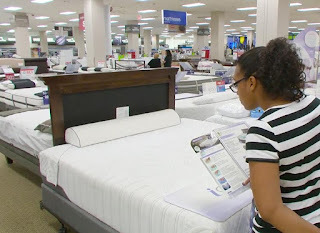 The sales person was VERY informative and gave us a complete mattress education. Financing is available. Cons: HIGH PRESSURE SALES PITCH! Even when we asked for a moment to discuss our options privately she would not leave us alone. She eavesdropped on our conversation and offered her feedback. 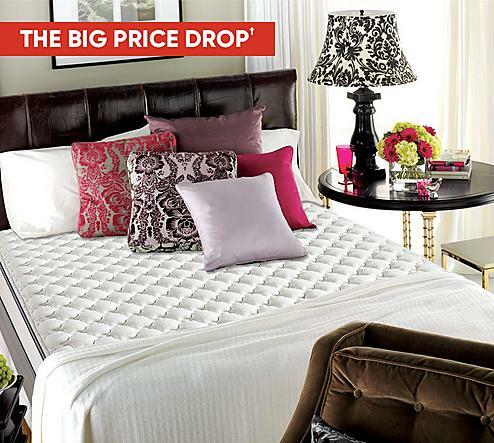 Price: Full Size Mattress + Bed frame was about $1300 + $79 for delivery! If we financed the cost went down to $1000. Years ago I ordered my first mattress from 800Mattres, so I looked them up online. They always offered me a quality product at a competitive price and their website didn't disappoint. 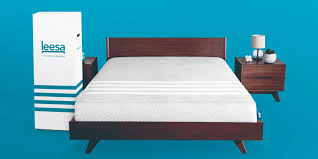 Price: Full Size 11.5" inner spring mattress with pillow top = $399, Box Spring $125, Bed frame $78. Honestly I was so annoyed with the website of this store that I left the site before I got too much information. I didn't find them to be user friendly AT ALL! I know that they sell foam mattresses and I know the price. You have to scroll and scroll to find information. I HATED their site. They are somehow connected to a company called "Mint". I'm not sure how or why. 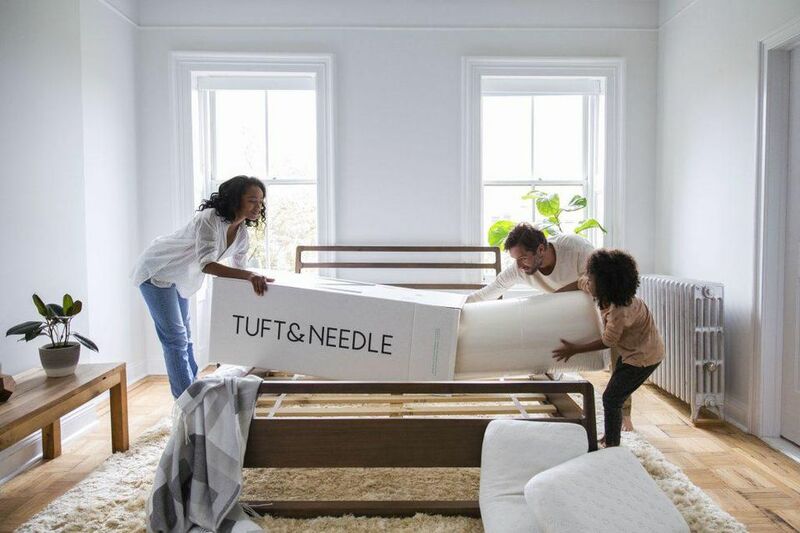 No box spring or bed frames were available from this site. Pros: They offer both innerspring and form options. Cons: Their website is VERY annoying and it's hard to find the prices. This company advertises on a LOT of pod casts that I enjoy so I was excited to check them out. Pros: They have LOTS of great reviews. There are several varieties of foam options available. Cons: It's hard to find prices on their website. Expensive. This is not a company that I'd head of but I stumbled across them in my search. Pros: They have good reviews online, their website was easy to navigate. They offer both foam and inner spring options. Tip #1 - As with anything it's important to shop around. Tip #2 - If you can, GO TO A STORE FIRST! I thought I would LOVE a memory foam mattress. Turns out, I HATE them! They're hot and it's hard to turn over on them. Tip #3 - Ask a million questions at the store, then buy online. This might seem unfair to commission based sales people but it's the best way to get important information and a great price. Mattress Firm gave us a quote of $1300. I found the same bed set online for about $700! Tip #4 - Check the shipping time. It usually takes a few days (2-3 days) for the mattress to leave the warehouse. Tip #5 - Understand the warranty and return policy. Most places will allow you to return a mattress that you don't like. If the product is stained or damaged the warranty is void. Also, find out who pays for return shipping. Tip #6 - Buy a mattress pad. If you have to return the mattress you want to make sure that it's stain free. Tip #6 - Search for online coupon codes!!! Tip #7 - Read comments and reviews! I was all set to pull the trigger on another mattress when someone in the comments mentioned Zinus. I'd never heard of them. Turns out they had what I was looking for at a lower price!! Tip #8 - Survey your friends! 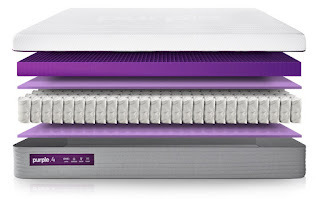 By asking my friends I got a LOT of great feedback on a variety of mattresses. For additional savings, be sure to install the Honey App for all of your online shopping. This link explains Honey and how it works. 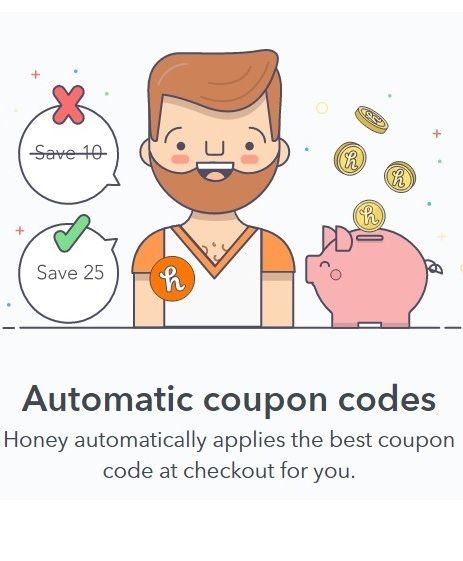 Honey automatically applies any available coupon codes to all of your online purchases! If you don't have Honey simply Google the store name and "coupon code." 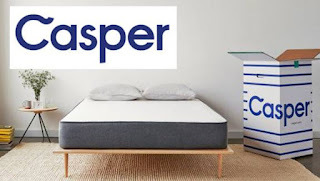 So if you're buying online from Casper, google "casper coupon code" and see what coupons are available. You might be surprised! For more money and time saving TIP and TRICKS, click HERE! Good post since this is a common purchase when you have teenaged kids. 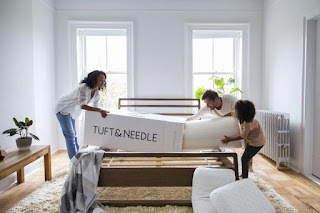 I wound up purchasing boxsprings & mattresses from BJ's Wholesale Club twice (twin could still fit in my minivan w/seats down) & Amazon (double) & then purchasing memory foam mattress toppers separately. Those toppers then went off to college with them to be used on the dormitory beds!